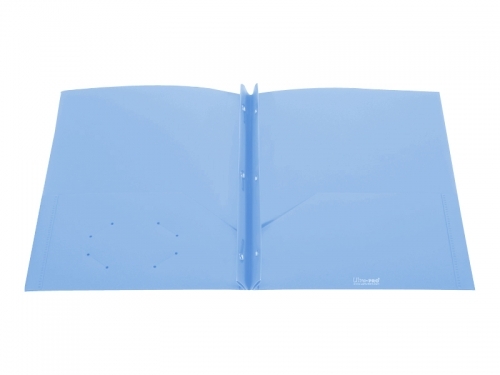 Our 3- Prong Fastener folders are made with heavy weight durable polypropylene material so they are tear resistant and waterproof. Each folder has a full sized clear pocket on the front for extra storage or can be used with printed 8 ½” x 11” inserts to give it a personalized look. The stainless steel metal fastener will hold up to 50 letter sized sheets. Folder has two large 5" high pockets on inside to store additional papers. Each pocket will hold up to 30 additional sheets for a total capacity of 110 sheets per folder. Sold 50 folders per carton.